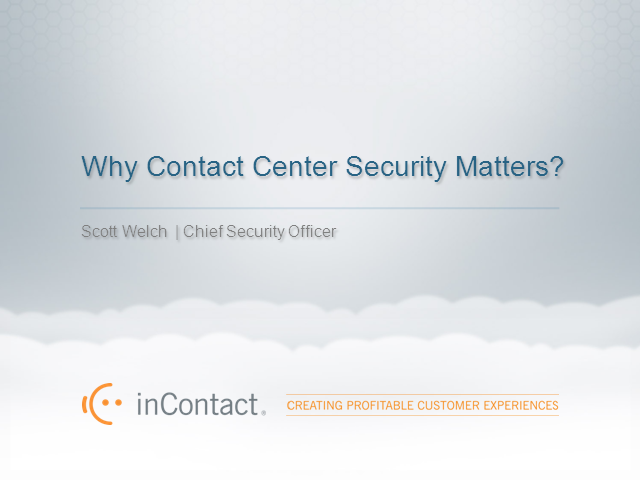 Why Contact Center Security Matters? If you’re evaluating new contact center technology, security may not be your first concern. But, eventually you are going to need to ‘prove’ that the cloud-based provider you are considering will keep your most valuable asset, your customer data, secure. Join us when David Hadobas, President of CCNG, interviews Scott Welch, Chief Operating Officer and Chief Security Office at inContact as he asks the tough questions about security in the cloud. Title: Why Contact Center Security Matters?